After I saw the very comprehensive article from Thomas – Denimhunters about the Thorogood Union made American work boots I decided to take some images of this boots I use now for 1 year at work. 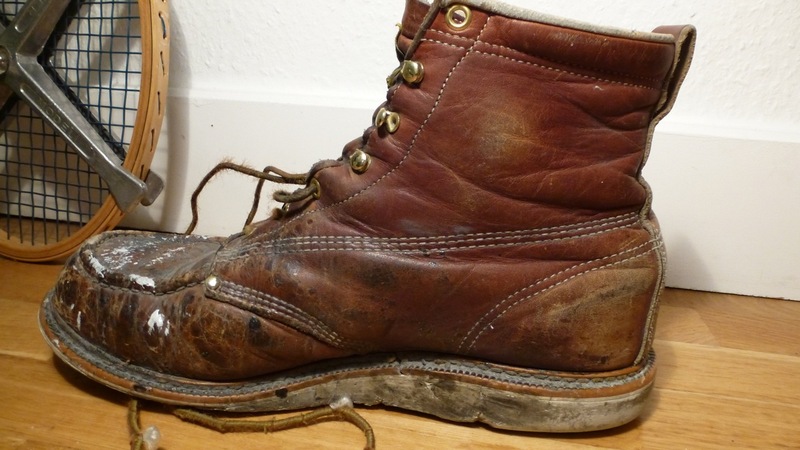 Thorogood / Weinbrenner boots are widely unknown in Europe and for a retail price of about 280 Euros hardly used/abused on work. They have performed very well during this time. Getting hit by raisin and paint they get cleaned with aceton or sandpaper on a regular basis. Probably the resoling will be the first reason for a “repair” so no complaint by me and a real recommendation if you get them for a good price from the USA. 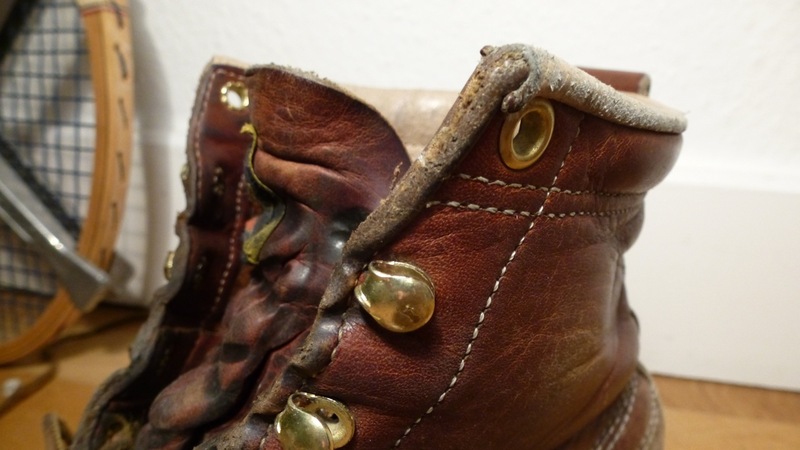 Here images of the boots after 3 month or when they were new. 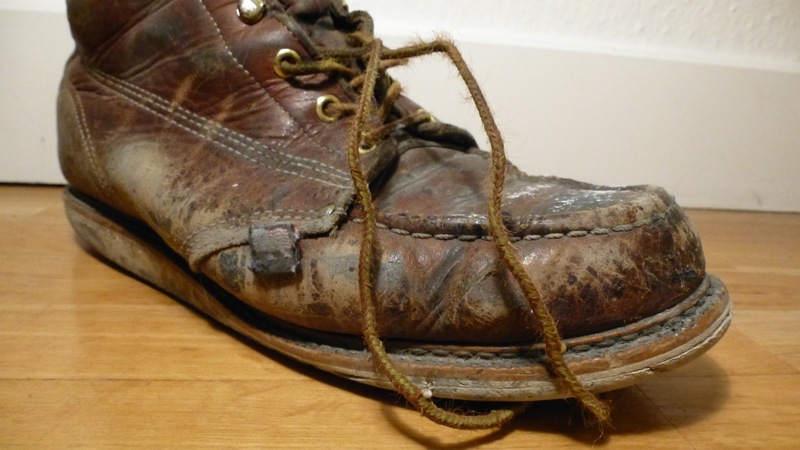 This entry was posted in Various and tagged abused, American Heritage, boot, brown, cognac, moc toe, non safety, rugged, shoes, Thorogood Work, union made, united states of america, usa, used, vibram, weinbrenner, white sole, worn in on 28. October 2012 by Alex. 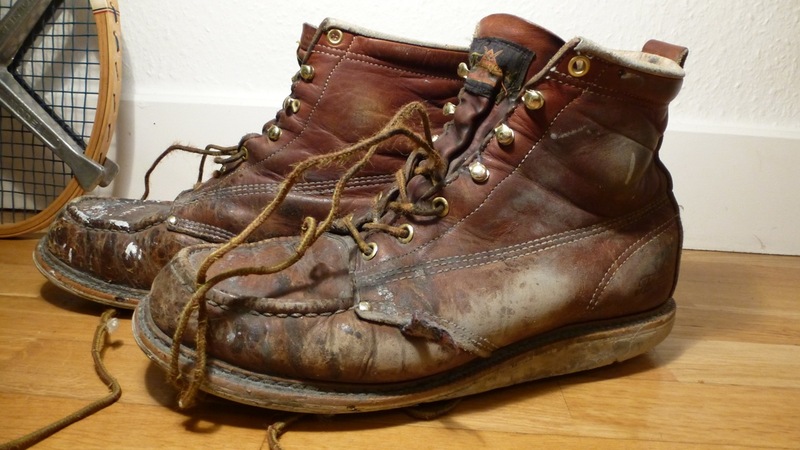 Glad you like our USA Made boots, by the hard working folks in northern Wisconsin. 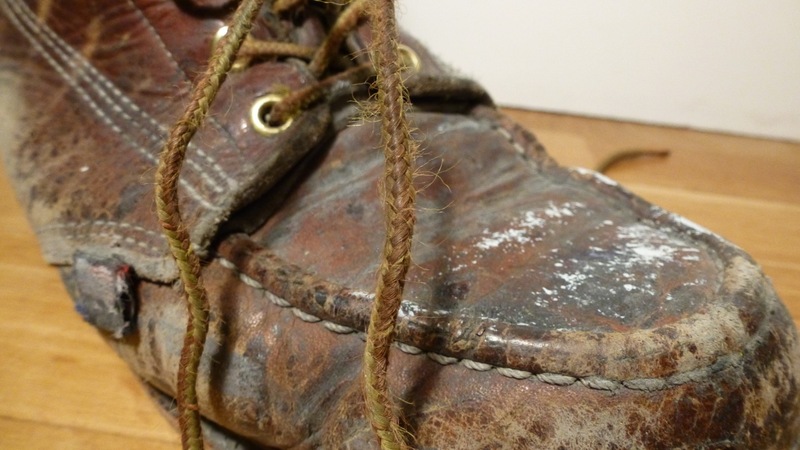 You need to clean and apply some mink oil regularly. You will literally double the life out of those boots. they performed really well under this workload. Hi Patrick, actually not really but contact me via the mail address mentioned on the about me menu on my site. 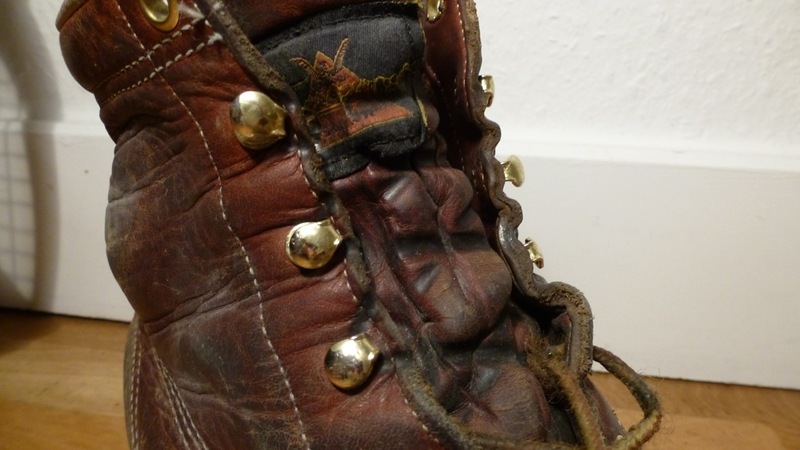 Die Arbeitsbedingungen waren einfach brutal für den Schuh, Kunstharz, Carbonfasern und Staub und zum reinigen dann Aceton und danach Sattelseife und Fett.